We had a good day. Went to a new park. Dogs love a new park. Lots of steps. I like a good walk too. And a new park. Toronto has tons of little gems. Little parks and trails. Will post a pic from the walk when I get to my computer. : the lake was full of swans.. 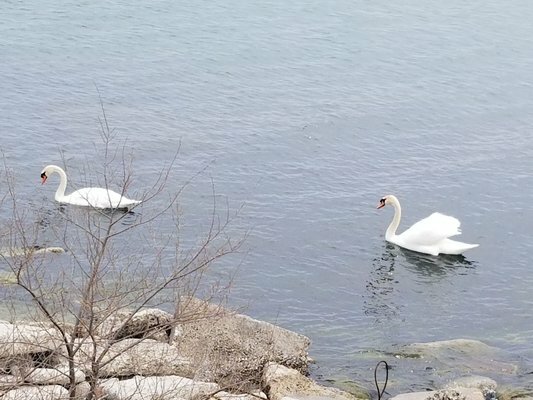 The dogs are not quite sure of what to make of swans just yet. thanks! It's been good for the dogs.. they love it..
You have accordingly been rewarded 59 AFIT tokens for your effort in reaching 14078 activity, as well as your user rank and report quality!